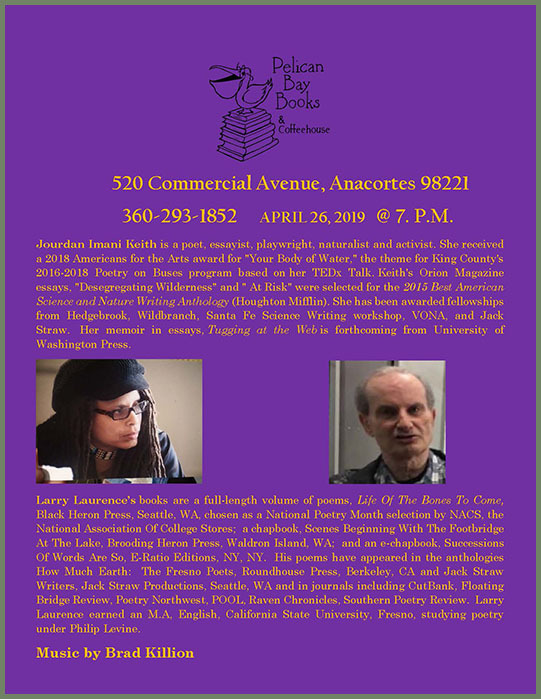 The April poetry reading at Pelican Bay Books will feature Jourdan Imani Keith and Larry Laurence, with music by Brad Killion. Join them for an evening of words on Friday, April 26, 2019, at 7:00pm. It has been five years since we mentioned Renée Adams and her Alexandria, Virginia, Poetry Fence of Del Ray. 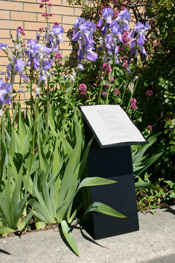 In fact, Adams has been “posting poetry, comic strips, and interesting news stories” on her fence for ten years now, and has added a poetry mailbox (above), which she keeps supplied with copies of poems for passersby to take. This year, she also “poem-bombed” 57 businesses in downtown Alexandria and invited the public to a poetry walk and reading for National Poetry Month. Read more in The Zebra. “For a distinguished volume of original verse by an American author,” Be With by Forrest Gander is The 2019 Pulitzer Prize Winner in Poetry. Wayzgoose is an annual community letterpress and book arts extravaganza. Meet local printers and view their wares, print your own keepsakes, make paper and bind books. A highlight of the weekend is steamroller printing, where local artists carve 3 x 3 foot sheets of linoleum and print on giant paper. It’s all happening at King’s Books in Tacoma next weekend, Saturday and Sunday, April 27 and 28, 2019, 11:00am to 4:00pm. 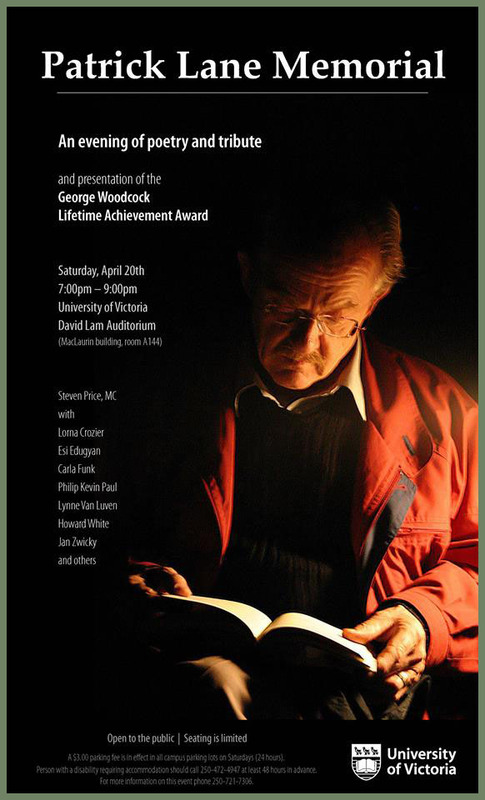 This evening, Saturday, April 20, 2019, 7:00-9:00pm, at the University of Victoria, David Lam Auditorium, celebrate the life and legacy of poet Patrick Lane, with music, readings, and performances by friends and former students. Interested in diving deeper into a particular topic? Over at Entropy, they’ve done the heavy lifting on a wide array of subjects. Since 2015, writers have been putting together class descriptions along with a list of relevant resource materials. Each class is presented as a MINI-SYLLABUS: everything you need to conduct yourself through the class, except there’s no actual class. This evening, April 18, 2019, the National Arts Club in New York City will welcome the 109th Annual Poetry Society of America Awards Ceremony. The evening will honor the 2019 Frost Medalist, Eleanor Wilner, who will deliver the annual Frost Lecture, and celebrate the new winners of distinguished Annual Awards, with readings by Darcie Dennigan, Sara Henning, Anna Maria Hong, Cecily Parks, Vitoria Perez, and G. C. Waldrep. We congratulate all of the winners, and in particular Seattle poet Kelli Russell Agodon, winner of the 2019 Lyric Poetry Award for her poem, At Times My Body Leans Toward Loss. See the complete list of current and past winners here.